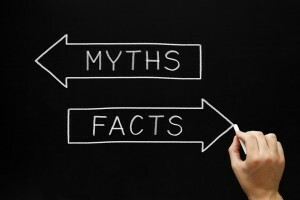 Don’t Believe These 3 Plumbing Myths! New homeowners are quick to take the advice of their friends, family and neighbors. When it comes to your home’s plumbing, don’t believe everything you hear! Remember, just because something is “recommended,” doesn’t mean it’s true. Fat, oil and grease are terrible for your drain. And, unfortunately, even boiling-hot water won’t help flush it down the drain. The grease will stick to your pipes, and when it cools, it will harden, creating a thick coating. Always pour grease into a disposable container and toss it in the trash! Unfortunately, flushable wipes aren’t actually flushable, contrary to what advertisers would have you believe. These thick wipes are not easily eliminated by your sewer or septic system because they fail to break down fast enough. Stick with regular toilet paper, which is designed to be broken down and flushed through your system. Tossing a lemon rind into your garbage disposal does make it smell nice, but it doesn’t effectively clean and disinfect. To get a good clean, use soap and warm water. Note: Turn off your garbage disposal before attempting to clean to avoid injury. Don’t fall for these plumbing myths. If you do, and you end up with a blockage, contact Service Plus Heating, Cooling & Plumbing right away. We offer a full range of residential plumbing services, and we are committed to providing professional, honest and convenient service on every job! Dial (317) 434-2627 for service on your Indianapolis-area home or business. Don’t forget to connect with us on Facebook, Twitter and Google+, as well!